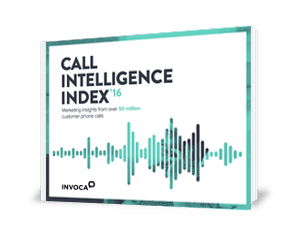 To show the impact voice conversations are having on the customer journey, Invoca analyzed over 60 million phone calls and surveyed 1,000+ U.S. consumers using voice assistants. The findings reveal deep insights about the way voice search is changing how today’s consumers learn about and interact with businesses. Join Jim Sterne, author and international consultant on digital marketing and customer interaction, and Julia Stead, Invoca’s VP of Marketing, as they discuss how this new era of customer communication is impacting the customer journey, and how to evolve your marketing in a voice-first world.